Designers and fashion stores are doffing their hats to Meghan Markle as the duchess sets their phones ringing and their tills kerchinging. Orders pour in each time she sports a new outfit, be it an off-the-shoulder dress, a belted coat, a tilted hat or a simple fascinator. Her fashion choices put the bucks in buckles and the millions into millinery. Most of her outfits are bespoke, by the likes of Givenchy and Carolina Herrera and typically costing £5,000. But others, like the Line The Label coat she wore on the day of her engagement to Prince Harry, are available and fly off the shelves. Meghan likes to promote smaller British and Canadian labels and her influence has been worth an estimated £300million to the industry in those countries alone. Now, after last week’s Royal Ascot outing – where she wore a white Givenchy dress complemented by a Philip Treacy hat – all eyes are focused on her next big outing… Wimbledon. 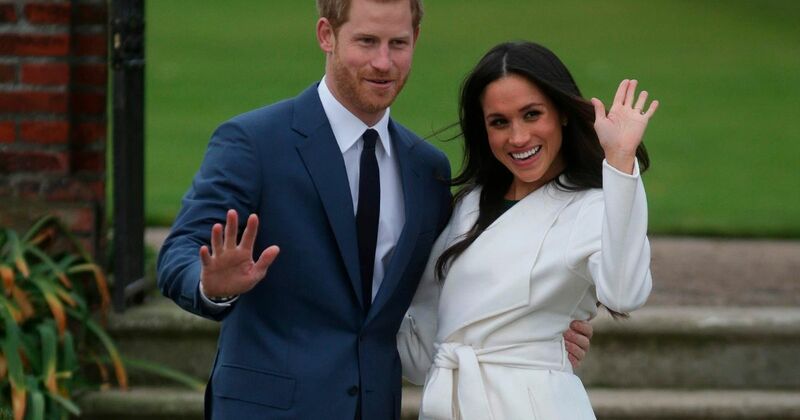 She is a keen tennis fan and her pal Serena Williams, 36 – the 23-times grand slam winner – was a guest when Meghan wed Prince Harry last month. So the question is will Meghan, also 36, go in simple straw hat and white blouse, like she did when she graced Centre Court in 2016? Or will she have something else up her sleeve now that she really is fashion royalty? As designers from the fashion houses of Paris to independent online retailers vie for her attention, high street chains will watch keenly as they try to follow suit. Vogue editor Edward Enninful hails Meghan, former star of US telly drama Suits, as “an astonishing sales force setting the fashion industry alight”. And her Wimbledon outfit could prove the biggest PR coup in a fashion brand’s history. Meghan often chooses female designers to champion gender equality. She is a big fan of Canadian designer Erdem and their floral, feminine designs would be perfect for Wimbo. Or Meghan might opt for a custom piece by her wedding dress designer Clare Waight Keller – the first female artistic director at the historic French fashion house Givenchy. As well as her Ascot number, Meghan wore a custom Givenchy capelet dress while in Chester on an engagement with the Queen this month. She could go for something understated by another of her favourite designers – Britain’s Stella McCartney, creator of the halter neck gown she wore for her evening wedding do. Stella is going to be selling 46 versions of the dress and they will retail at £3,500. One thing for sure is that Meghan will opt for a hat and sunglasses – a wardrobe staple at Wimbledon. Milliner Philip Treacy has emerged as a favourite designer of Meghan’s – with his bespoke hats costing around £2,500. She wore a head-piece from the Irish fashion guru for the Trooping the Colour ceremony a fortnight ago. It complemented a blush pink two-piece outfit by Carolina Herrera. During Meghan’s first official outing with Harry in Nottingham, she carried a £550 tote bag by Edinburgh-based Strathberry and wore a £427 black coat by Mackage. They flew off the shelves and sold out in minutes. The coat is so popular it is back on sale – costing £23 more. As the Meghan-effect grew, Strathberry enjoyed bumper sales in the run-up to last Christmas. Meghan wore a £750 white wrap coat to mark her engagement last November. Again, copies sold out within 20 minutes of her appearance on Harry’s arm at Kensington Palace. Canadian designer John Muscat, 45, founder of Line The Label, explained: “We had 5,000 requests for the coat. It costs £750 – not something you buy lightly. But not every outfit is judged to be a winner. Meghan wore a long-sleeve blue and white patterned cocktail dress from designer Oscar de la Renta at the wedding of Lady Celia McCorquodale a week ago. But some royal rans suggested it was too big. The dress costs £3,992. But her M&S fascinator was just £29.99 – well and truly putting the Sparkle into Marks and Sparks.